Two days ago BehindMLM published a firstlook of the Crowdbridge Global MLM opportunity. The company appears to be based out of Europe and is run by co-founders Hans Pasveer and Harald Ekker. For Pasveer and Ekker’s respective MLM histories, please refer to our published Crowdbridge Global firstlook. One key component missing from our firstlook was the CrowdBridge Global compensation plan, which I’ve since learnt has been made public. After going over it I concluded I had enough to publish a full review of Crowdbridge Global. The source material is Hungarian, which I’m not a native speaker of. Still, some of the presentation slides were in English and I’m familiar enough with MLM compensation plans to piece the rest together. Read on for a full review of the Crowdbridge Global MLM opportunity. Crowdbridge Global has no retailable products or services, with affiliates only able to market Crowdbridge Global affiliate membership itself. Crowdbridge Global affiliate membership provides access to the CBG Coin cryptocurrency. 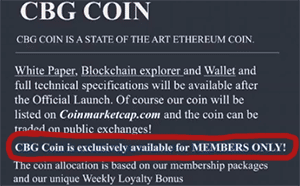 Marketing material states CBG Coin will use the Ethereum platform and be proof-of-stake. Crowdbridge Global claim CBG Coin will be publicly tradeable, but initially only available through the company itself. No indication of the value of CBG Coin was available at the time of publication. Crowdbridge Global affiliates invest in CBG Coin, with how much they invested determining weekly ROI and recruitment commission payouts. Note that 40% of all commissions and bonuses paid out must be reinvested back into new CBG Coins. Crowdbridge Global’s compensation plan states that Pre-school Package affiliates receive a 20% recruitment commission on funds invested by personally recruited affiliates. Presumably this is paid out on the paid affiliate packages as well. Crowdbridge Global pay residual commissions via a binary compensation structure. Commissions are tied to 150 points matched on both sides of the binary team. This is referred to as a “cycle”. Points are generated within the binary team via recruitment of new Crowdbridge Global affiliates. Crowdbridge Global affiliates are paid a matching bonus on residual binary commissions through a unilevel compensation structure. The Matching Bonus is paid out as a percentage of residual binary commissions paid to affiliates across seven unilevel team levels. New Crowdbridge Global affiliates are eligible to receive the Fast Track Bonus for 48 hours. A match of 150 points on both sides of the binary team within this 48 hour period generates a €250 EUR voucher. An affiliate is able to collect up to three vouchers within their 48 hour Fast Track Bonus qualification period. Vouchers correspond with the equivalent value of CBG Coins obtained through Crowdbridge Global. The Prestige Platinum and Premium affiliate packages come with a respective one, two and three shares in a Founders Shares Pool. Crowdbridge Global affiliates are also able to purchase Founders Shares for €1000 EUR each. A 15% referral commission is paid out on Founders Shares purchased by personally recruited affiliates. The Founders Share Pool is a revenue pool made up of funds invested company-wide across the company. What percentage of invested funds are placed in the Founders Share Pool and how often it is paid out have not yet been disclosed. A free “Pre-school Package” option is also available, however full participation in the Crowdbridge Global MLM income opportunity requires investment in one of the above packages. Crowdbridge Global’s CBG Coin is your typical MLM pump and dump altcoin scheme. Crowdbridge Global premines most of CBG Coin, which it then distributes to affiliates for a premium. CBG Coin itself is worthless and has no real world application or demand outside of Crowdbridge Global. That doesn’t matter to Crowdbridge Global management, who make their money when affiliates buy into the MLM opportunity. 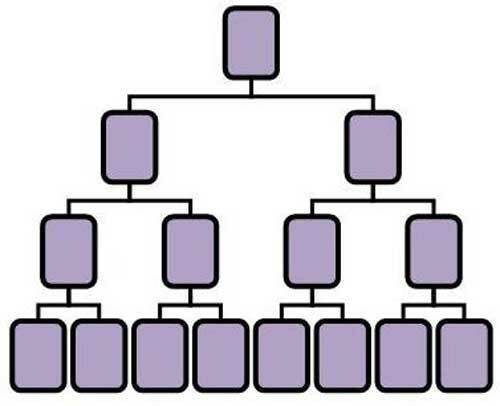 With respect to the Crowdbridge Global compensation plan, being tied to affiliate recruitment with zero retail makes the opportunity a pyramid scheme. MLM altcoins are a dime a dozen and all follow the same route. Once initial affiliate recruitment hype dies down, the altcoin value crashes and the company collapses. Affiliates are left with a worthless altcoin they can’t do anything with, while the admins who sold them the altcoin slink off with the real money paid for the coins. By bringing nothing new to the table, Crowdbridge Global won’t be any different. Mary Courant is their Chief operating officer. Mary Courant was Top earner in Conligus and OneCoin.